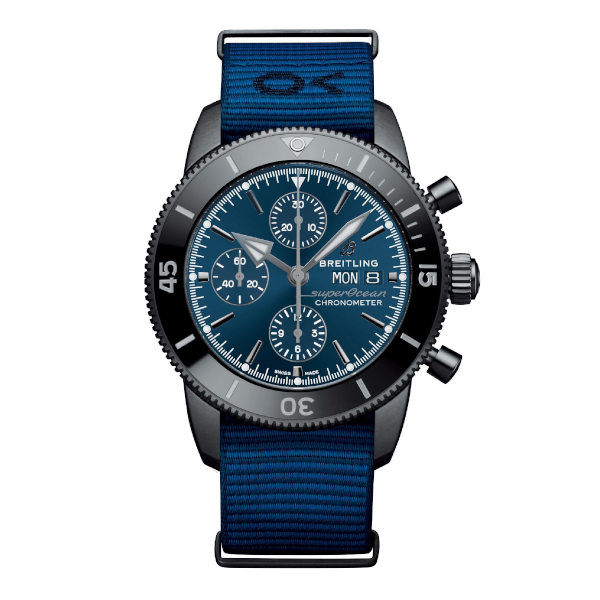 Up to 60 months 0% Deposit, 0% APR finance from only £93.33 per month. 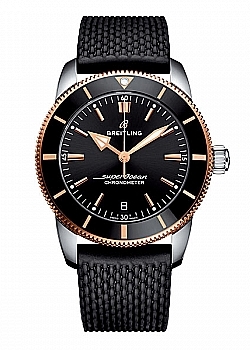 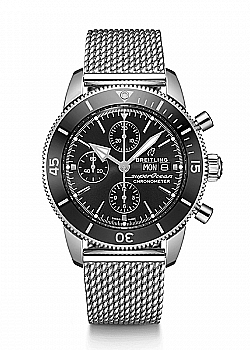 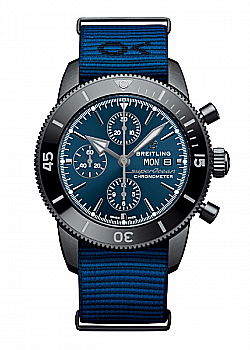 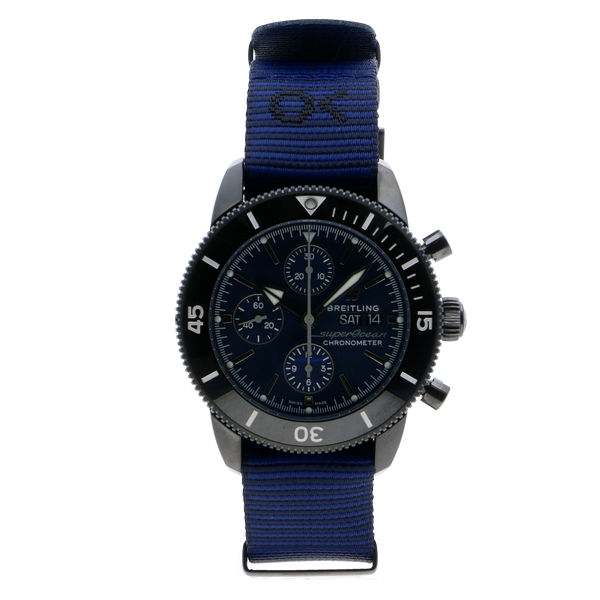 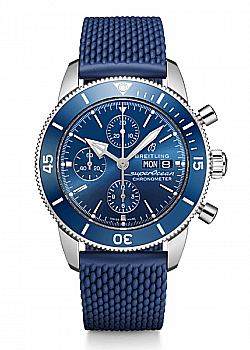 The Superocean Héritage II Chronograph 44 Outerknown celebrates Breitling’s partnership with sustainable apparel manufacturer Outerknown, co-founded by surfing legend Kelly Slater. 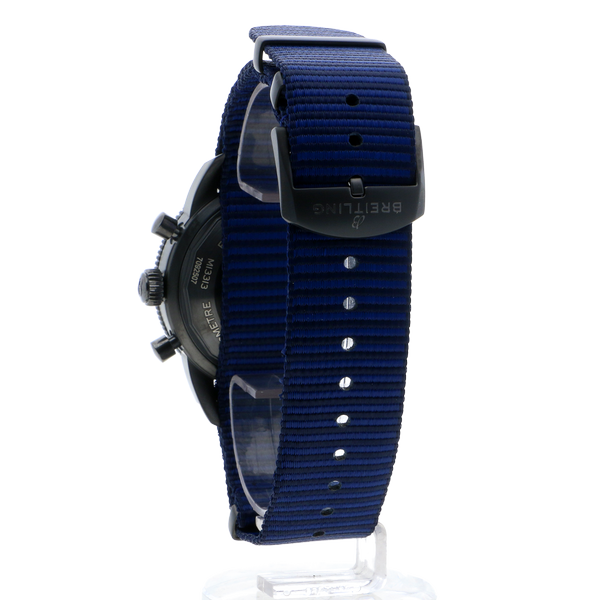 The watch features a Nato strap crafted from ECONYL® yarn, an innovative material created from nylon waste. 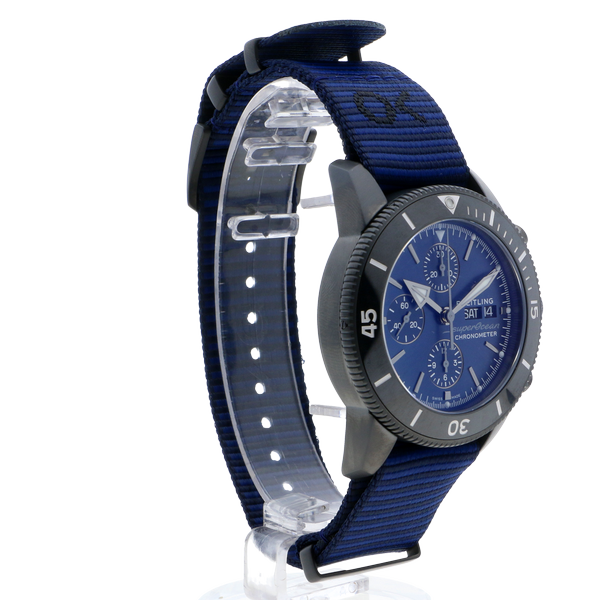 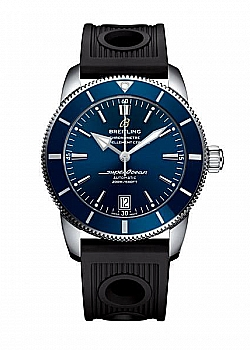 With its black DLC-coated stainless steel case, bold blue dial, and unique blue strap, it makes a dramatic style statement and creates a powerful link to our oceans.